One thing that’s extremely important to understand for any job you have, no matter whether you work in an office or in a factory, is the dress code. If you don’t dress correctly for the job not only will you look out of place you might actually get injured? Imagine wearing a dress and heels in a factory. Could you see someone wearing steel-toed boots and jeans in a lawyers office? Knowing what to wear for every job is definitely a valuable skill to understand. If you have a job in an office, such as the aforementioned lawyer’s office or any sort of office you’ll want to dress in formal business attire. This means if you’re a male you’ll want to wear a suit, with a jacket and tie. It’s perfectly acceptable in most places to take the jacket off when you’re inside the building, but make sure that you wear the jacket any time you have a meeting or formal occasion. 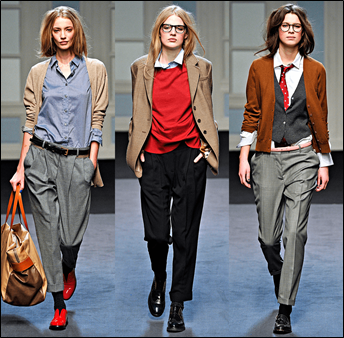 Women should wear dress pants or skirts and should have nice blouses. The look should be formal and yet approachable. If you work in an office that describes themselves as accepting business casual you’ll have a bit more leeway in what you wear. 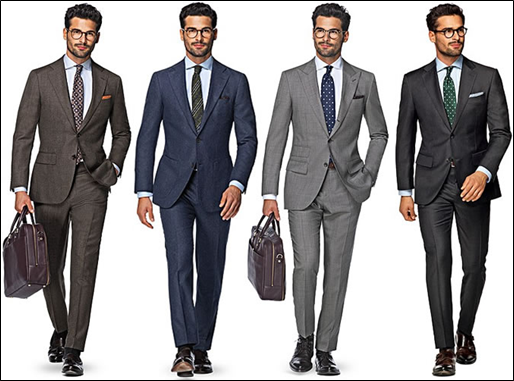 Business casual is one of the most common dress codes in the United States and can allow you to dress formally while still allowing some colour and personality in your wardrobe. When you wear business casual, which is sometimes known as executive casual, you can wear colourful button-ups of any colour, men can wear pullovers and sweaters as well as dressy slacks. Women can also wear larger jewellery and can wear comfortable flats. 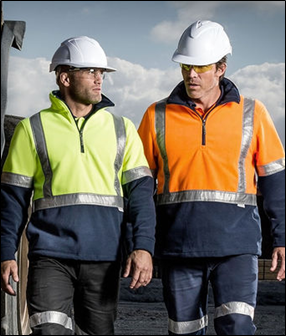 If you work in a factory the rules are completely different for what you are allowed, or required, to wear. Many times factories require their employees to wear long pants in order to avoid injury on their bare legs. You’ll also likely be required to wear t-shirts or long sleeved shirts as well, although you’ll be able to wear whatever design you’d like on the shirt as long as it is tasteful. Don’t wear anything x-rated to work. Think about what kind of clothing you’d find permissive at a parent-teacher conference and you’ll have a good idea of what type of style you should look to wear in regards to t-shirt designs. You may also be required to wear steel-toed shoes when working in factories or industrial companies to protect yourself from being injured, so one can buy safety footwear at WorkWear Hub, which is one of the appropriate places to buy and make sure you look for steel toed shoes that are not only protective but also comfortable. You may find shoes that have memory foam in them which can be a huge help if you’re standing on your feet the majority of the day. If you work in a casual job, such as at a department store or a fast food restaurant, you’ll likely be told exactly what you should wear. Most fast food restaurants have uniforms for you to wear and some even launder the uniform for you. If you work in a department store and are able to wear your own clothing make sure that you wear clothing that is respectful and makes you look respectable. Don’t wear any clothing with rips or tears in them, even if you’re allowed to wear jeans. Always try to have good-looking clothing as not only will you look the best for the customers, you’ll also show management that you take your position seriously. If you’re ever in doubt about what to wear for your new job don’t hesitate to ask your human resources director. Their job is to keep the peace and handle any issues that may arise and they’ll be easily able to tell you what type of clothing is, and is not, appropriate.